Distributors aren't budging on prices, so retailers may pass the cost of an upcoming tax increase onto British consumers. UK gamers could be getting a rather unwelcome late Christmas gift this year, in the form of higher prices. Value Added Tax, or VAT, will increase from 17.5% to 20% on January 1st, and despite calls from the retail sector to lower trade prices, one platform holder has ordered its official distributor to freeze its prices at current levels, with another apparently planning to do the same shortly. If the prices remain unchanged, retailers essentially have two options: either they absorb the tax increase themselves and cut into their profit margins, or they fall in step with distributors and pass the increase on to consumers. Obviously, neither is ideal, and could be especially damaging to the smaller, independent retailers who are already struggling to compete with supermarkets and retail chains. The increase in tax will mean that game prices will increase by Â£1 and console prices will increase by Â£5 - Â£6. Higher prices may also affect what stock retailers carry. 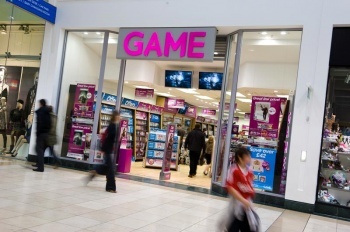 One retailer suggested that consoles would be harder to sell at the higher prices, and the ratio of high margin to low margin stock would change to reflect the new retail situation. Pre-owed sales, already a significant source of revenue for retailers, are likely to take on even greater importance, being both cheaper and more profitable than new stock.